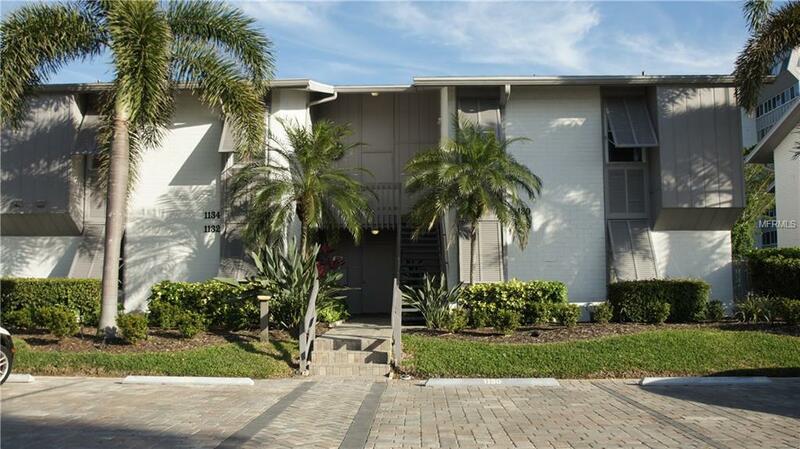 BEST VALUE ON SIESTA KEY WITH PRIVATE BEACH ACCESS!! 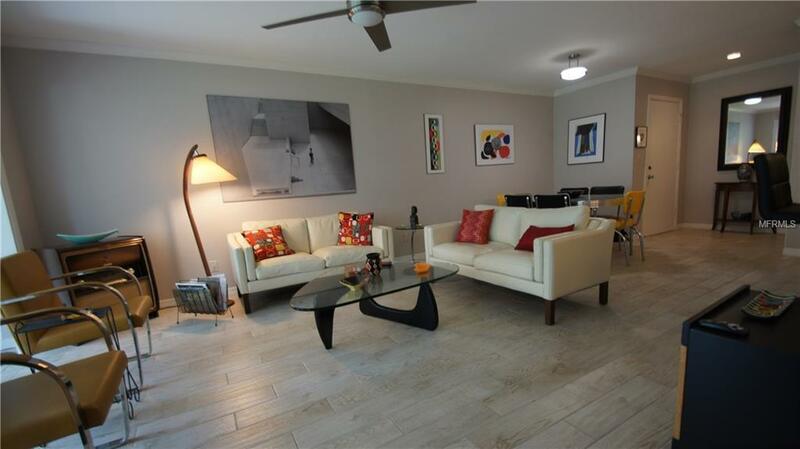 !This classy move in ready ground floor condo is located in the heart of Siesta Key on the gulf side of Peppertree Bay community. 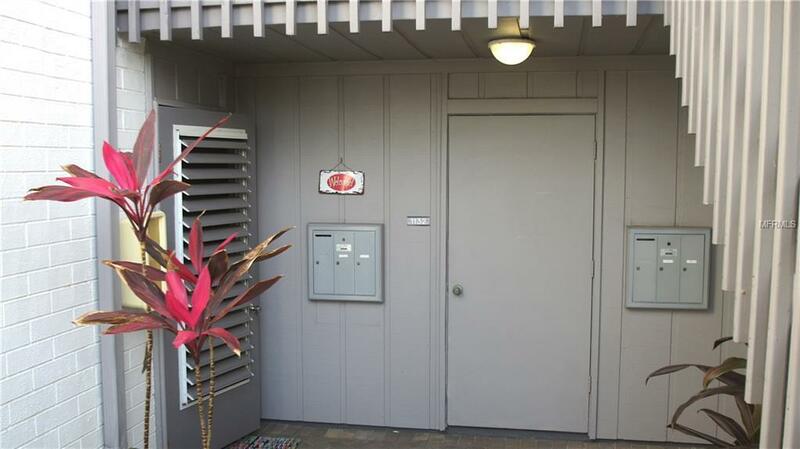 This open 2 Br, 1.5 bath unit has a lovely garden patio facing a waterfall pond and is completely renovated with an enclosed lanai, wood style porcelain tile throughout, and a comfortable attractive Murphy bed which adds extra space to the 2nd bedroom. The condo also includes a washer/ dryer, a double oven, a private attached storage room, and one assigned parking space. 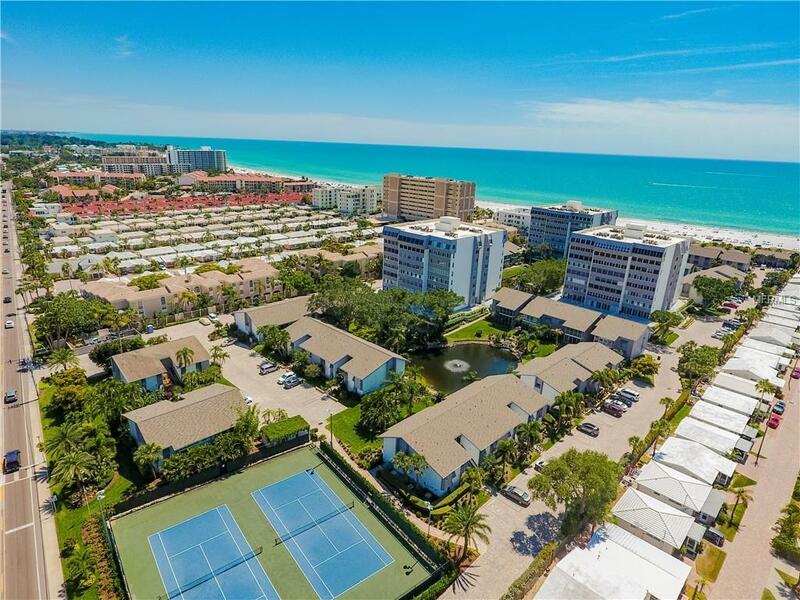 The community features 24 hour security, exceptional landscaping, excellent management, a fitness center, 2 heated community pools, tennis courts, 2 clubhouses, and a private community deck on the Bay side for fishing and enjoying the view. Moreover, its central location on the Key affords delightful beach walks to Point of Rocks and the Stickney restaurants as well as Siesta Village.